Sampeng Lane in Bangkok’s Yaowarat (Chinatown) district is one of Bangkok’s most interesting street markets. Sampeng Lane, or Soi Wanit 1 as it is formally known, runs for several kilometres parallel to the south of the Yaowarat Road. 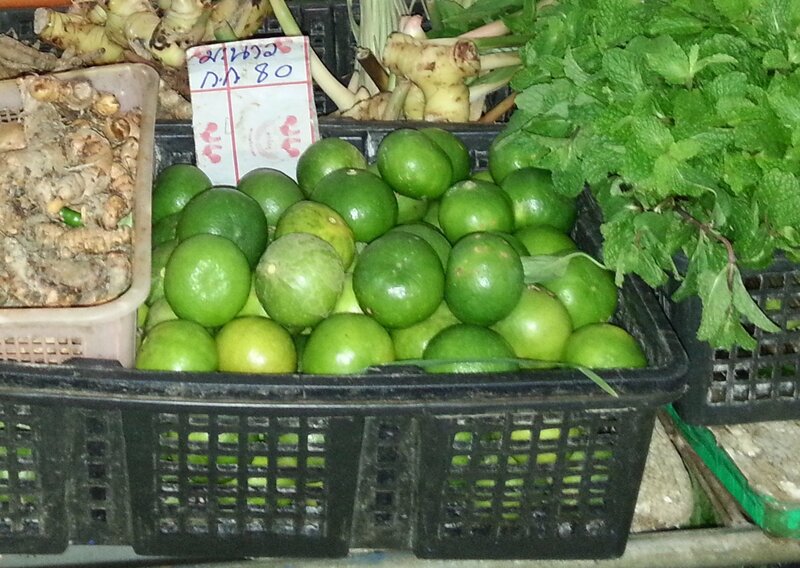 The market section is about 1 km long between the intersections with the Yaowa Phanit and Chakphet Roads. 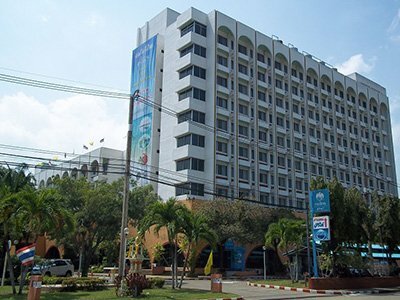 To get there by public transport take the MRT (station) to Hualamphong MRT station and walk or take a tuk tuk from outside the train station. 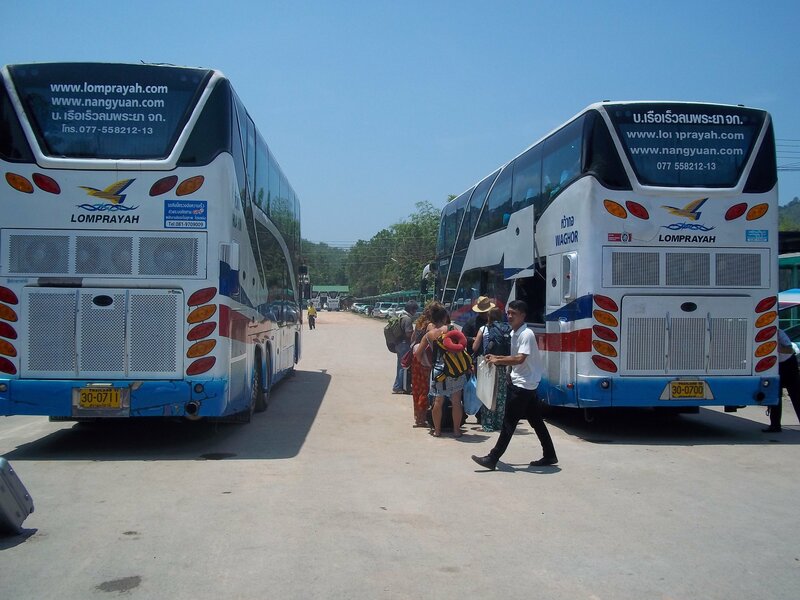 Many visitors stop on the way to visit the golden Buddha statue at Wat Traimit before going to Sampeng Lane Market. 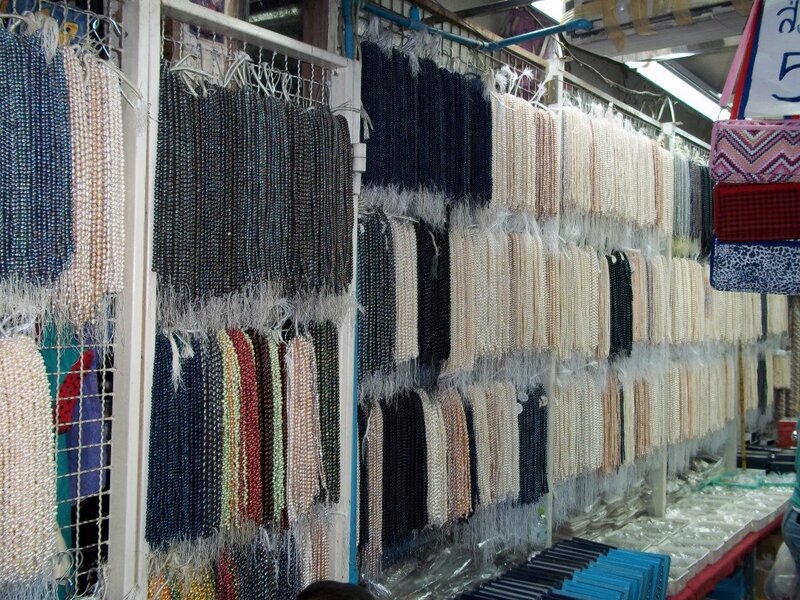 Sampeng Lane Market is quite an intense experience. Its very narrow, about 1 metre wide in places, and full of people. The narrowness of the road does not, however, stop people coming down the lane with motorbikes and hand carts with goods and produce. 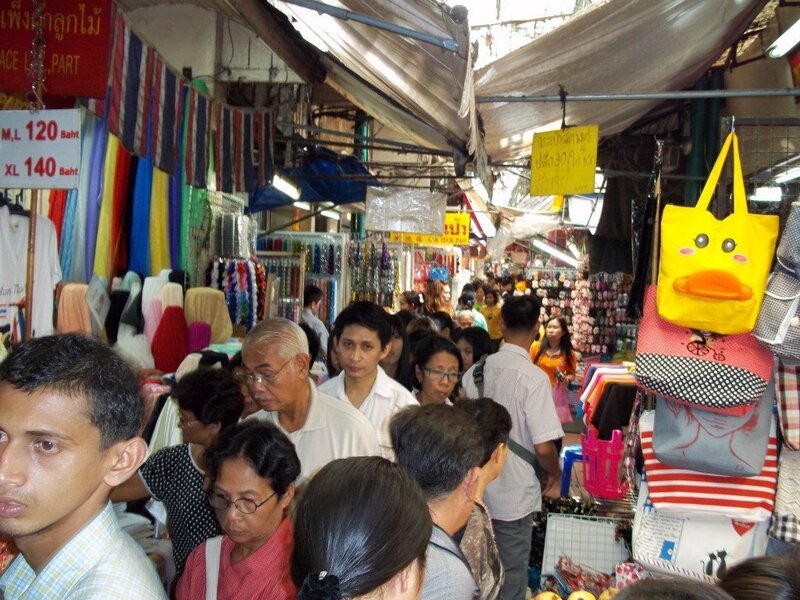 A trip to Sampeng Lane Market is not for the faint-hearted but it is an experience. Sampeng Lane has a long history. 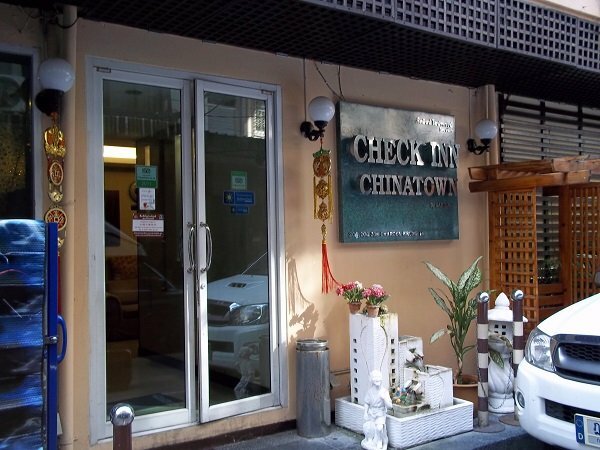 It has been a thriving central point for Bangkok’s Chinese community and an important commercial centre for the city as a whole since the 17th Century. Before then much of the commercial activity took place on the Chao Phraya river. The Thai people did not favour building permanent settlements on the marshy and insect infested banks of the river and they opted to live on, and trade from, boats. The end of the 16th Century and the beginning of the 17th Century saw a huge migration of Chinese people to Thailand. Many of these people where from the Li ethnic group indigenous to the island of Hainan. At this period in time Hainan Island was being slowly overrun by the Han Chinese from the mainland and most of the Li population migrated to South East Asia. When these immigrants came to Bangkok they settled on the land which the Thai people spurned and built the streets and houses which make up much of modern Bangkok. At this time Sampeng Lane was the centre of the community and a place associated with opium dens and prostitution. 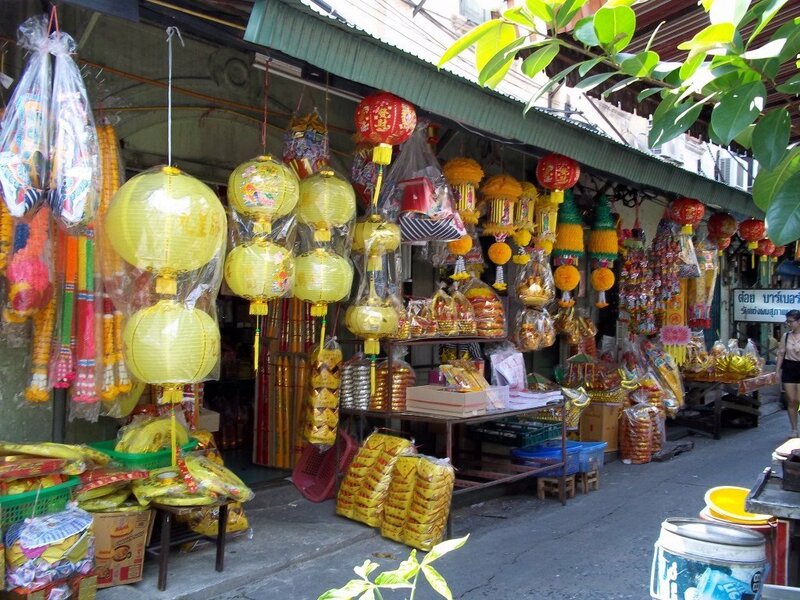 Even today ‘visting Sampeng lane’ is a commonly used euphemism in the Thai language for visiting a brothel. Look out also for some unusual and very tasty food stalls and restaurants. Indian food fans should head to the Western end of the market (the furthest part from the train station) for some authentic Indian street food such as fresh samosas and dosas.